In a tiny hamlet, the King has gone mad with power — believing that the purveyors of older religions have welcomed a curse on the town, resulting in the birth of soulless children. Unfortunately, the village’s woes don’t end there. A plight has infested the grain crop, and the townspeople are now so obsessed with making sure they are fed (and beer is flowing by the plenty) that they begin to ignore the growing count of bodies swinging from trees. No one is happy, but thr most important aspect of life to the average person is simply that they can feed their loved ones. In the heat of this hex, tensions are boiling over. A morose mob storms the grain mill, screaming at the hardworking (yet notably crotchety and frugal) landowner that he has some hidden stores of wheat tucked away to make more money at the expense of the common folk. “Yes,” the mill owner admits, “I give a few of them in the mob the worst batch of the wheat, but we have pregnant people suffering in our village. Shouldn’t they get the best crop?” Meanwhile, the mob leader — more than happy to drink his share of the wheat — simply remembers a better time, and can’t come to terms with the fact that less wheat is being produced… even with half the town hanging by their necks for being heretics. As the new person of the town, the burden falls on you — not simply because plot dictates it, but because the townpeople are all famished and frankly too weak for either side to win. Your wave of support on either side can turn the tide of the disagreement, likely ending in the loser’s death. Or, perhaps, you will be able to stop the fight altogether with a stoic hold to your morals, or even just buying a round of beer for the right people. Afterall, you are going to need everyone in the town happy with you if you hope to dethrone the blighted King. Welcome to the world of Pillars of Eternity: Complete Edition — as you would imagine by the name, the game of the year version of the title with all of its DLC. And those predicaments above are the common, moment-to-moment situations you as the hero protagonist (or antagonist, based on your personality) finds yourself in. 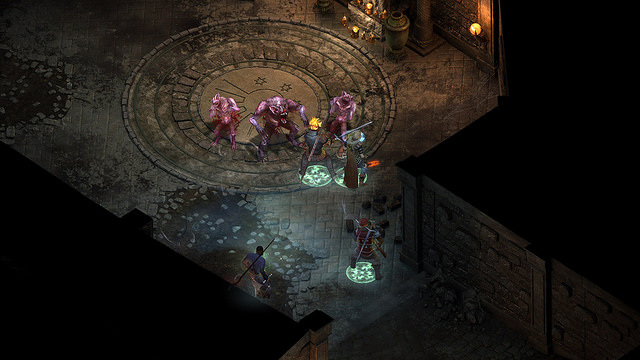 And these perilous and delicate situations, with many nuanced ways to work your own solution out, is what makes Pillars of Eternity: Complete Edition the powerful genre piece the developer Obsidian Entertainment developed it as. 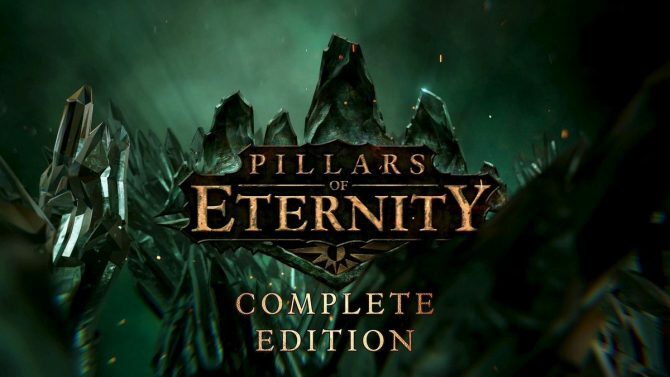 With clear inspiration to dungeon-crawling, story heavy adventure games of the past like Baldur’s Gate, Icewind Dale, and Planescape: Torment, Pillars of Eternity: Complete Edition was Kickstarted and released on March 26, 2015 to enamored responses by genre fans and critics alike. Two years later, the game (along with its epansions) are coming to PlayStation 4 and Xbox One as well. 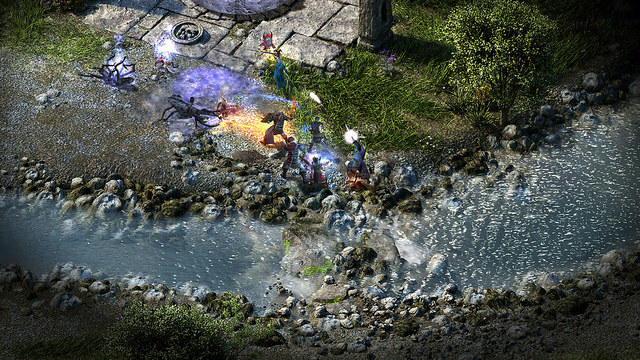 Pillars of Eternity: Complete Edition brings back a rather old-school method of play: the tactical role-playing adventure game, with heavy narrative elements, looting, and open-ended story options. 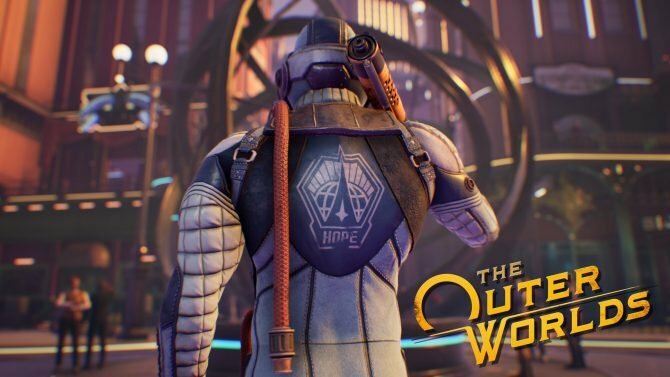 Frankly, this game comes with a depth to gameplay with that many newer gamers (or older ones unfamiliar with the genre) may initially feel uncomfortable with. With dozens upon dozens of systems and mechanics, the RPG is well thought out and complex. Where players often start out fumbling between controls, mastering a mix of spells, special abilities, and your accomplices soon feels like performing a concerto. 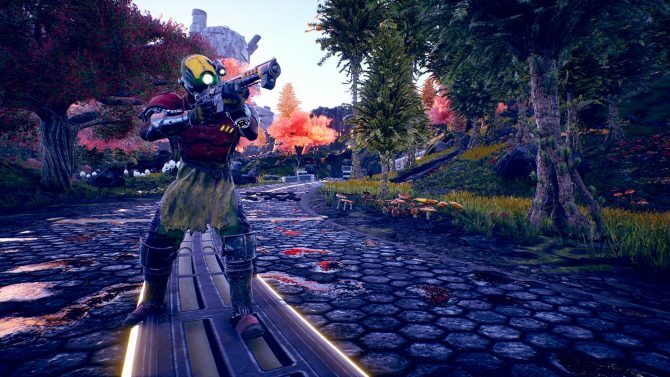 And though that density may lose some people in the weeds, the difficulty options and handicaps available create a more forgiving environment for those looking to dip their toes into the genre. And I couldn’t recommend giving Pillars of Eternity: Complete Edition any more than I already do, if only for Obsidian’s now tell-tale ability as master narrators and story weavers. As anyone with a history of playing Dungeons and Dragons (physically) knows, game sessions and your enjoyment of them rely almost solely on the Dungeon Master’s ability to craft a story and provide the mood that develops the environment and characters. Impressively, Obsidian never misses a beat in their 60+ hour game, constantly hitting the right tones with inspired writing that goes above and beyond the standard of the medium. With no exaggeration, you feel ruined on fantasy RPG settings once getting to play through Pillars of Eternity: Complete Edition. While the music and the story take an elevated position among the genre, the visuals (which are beautiful in their own right) fall more on the side of HD nostalgia. 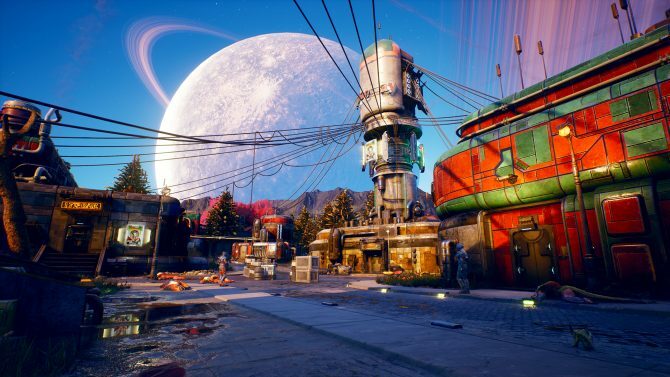 While many older fans of in-depth RPGs may remember the games looking similar, they would likely be surprised on the differences and nuances when taking off their rose-tinted glasses. With that said, Pillars of Eternity: Complete Edition isn’t trying to capture their audience with brilliant graphics or astounding textures — they will let the gameplay and story do the talking for them. One of the notable downsides is the port to the PlayStation 4 doesn’t feel perfect — even on my PlayStation 4 Pro. With close to minute-long loading times between maps, occasional staggering, and getting stuck in boxes every five (or so) hours, the game is either deceptively hard to program or the port wasn’t executed with the same deft hand that crafted the underlying game. And while this is annoying, and may even require the occasional restart, it was never game-breaking or something that would substantially hinder my recommendation. And, as I’ve mentioned previously, Pillars of Eternity: Complete Edition falls into a genre that is notoriously difficult to get into, simply because of the complex systems. It would be generally hard to recommend this game to someone who wants to pick up something and get right into mastering the mechanics. That said, if you are willing to spend some time introducing yourself to a world and playstyle you have never explored, that investment will pay out in dividends.